InsideView - Show the interior of your business to the world! Show the interior of your business to the world! A proven way to entice customers. Take Your Bar, Restaurant, Hotel, or Resort from Incognito to Irresistible! Imagine two listings, side by side. One offers a name, a number, and a basic (boring) map. The other offers all that, and a 360-degree virtual tour (clearly marked “See inside“), which customers can enter and interact with. Which one do you think will get the reservation or booking, especially from International tourists who may be apprehensive about the quality of food or lodgings in an unknown place? A 360-degree virtual tour makes customers feel as though they are standing directly inside of your establishment, seeing the sights, tasting the tastes, smelling the smells. This virtual experience drives a desire to enjoy the real thing. And when you book Inside View, you get a Google-certified and licensed street-view photographer who can help you make the most of this asset. This hotel client had a few photos on his Google My Business listing, but he didn’t have a 360-degree virtual tour. After adding a virtual tour, he received 13% more Google views, resulting in a proportional increase in bookings. He paid for his initial investment in a single month! Remember, the typical client revamps this investment 30 days after the shoot. Once your panoramic photography shoot is complete you can sit back and relax. Inside View handles everything, placing the panoramic photos and the virtual walkthrough on your listing as well as correctly on Google Maps and ensuring they meet with all of Google’s guidelines. Google is very picky, which is why you can’t simply pick up a camera and expect to get the same results on your own. This is something only an officially registered Google-certified photographer can do for you. Once this process is complete your listing will include the “See Inside” button. You’ll start seeing results soon after that! 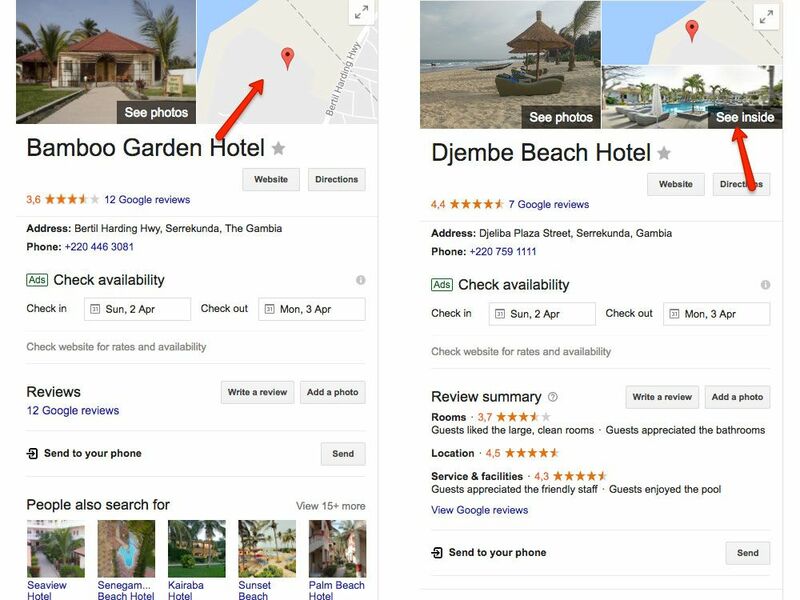 Beaches & ‘The Strip’ in Gambia on Google Street View! 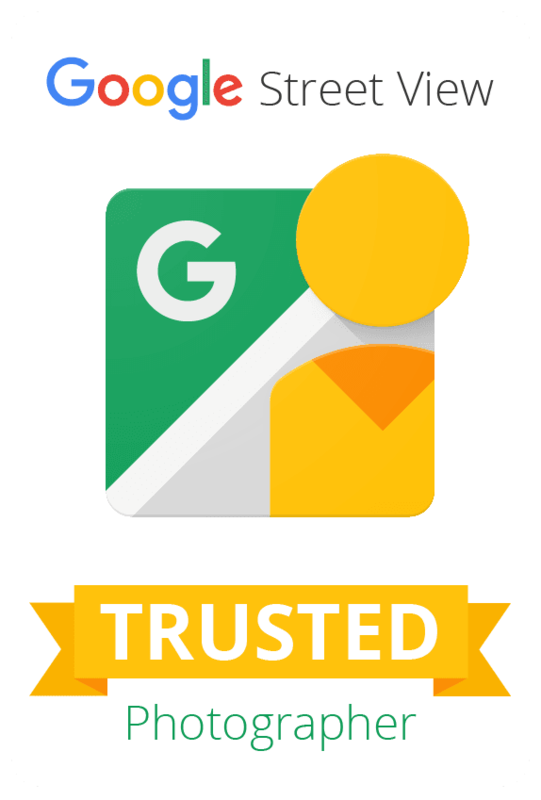 Google My Business Trusted Verifier for Africa! Djeliba Virtual Tour over half million views! The true VALUE of a virtual tour? Ready to loose bookings? No? Read this! Gambian app with virtual tours wins Most Innovative Business Concept 2017 Award!